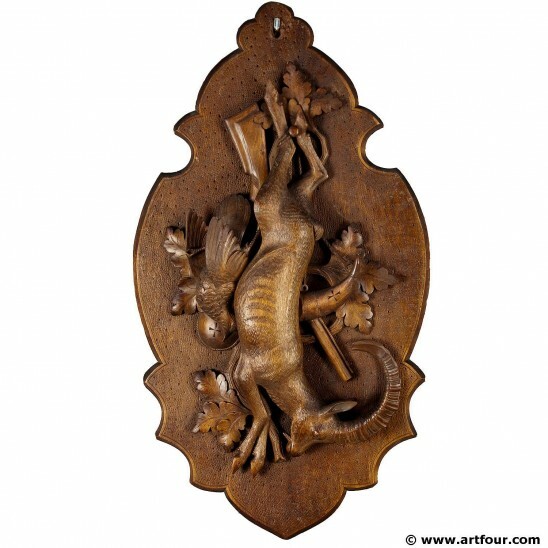 a large wooden carved huntinge wall plaque with ibex, pheasants and decorations. executed ca.1900, swiss - brienz. the starting price of the game plaque is $ 2,264.-- it will be lowered step by step. we're looking forward to your inquiry.